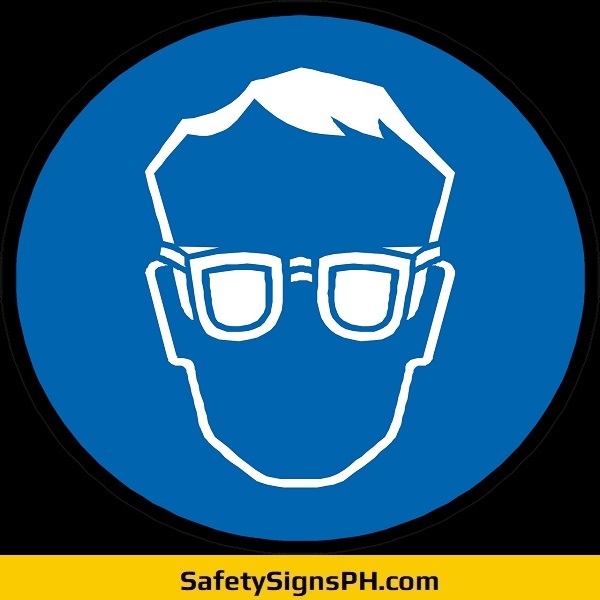 Protect your staff from risks of eye and face injuries with our customized mandatory eye and face protection signs. 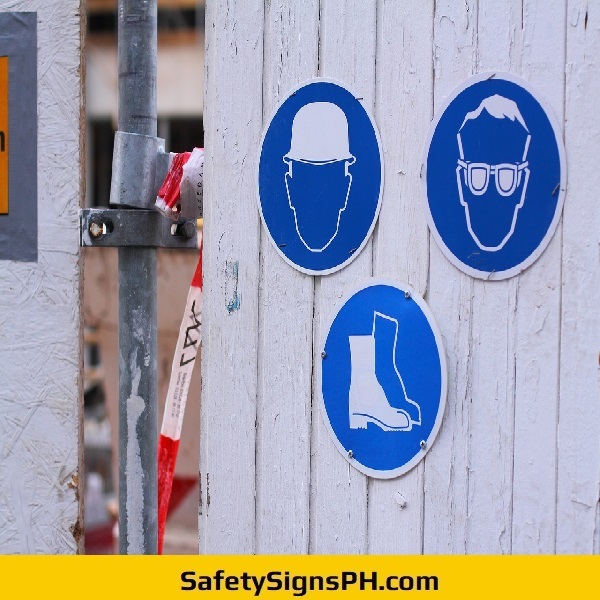 Suitable for building and construction sites, welding shops, mining companies, and warehouses, our face and eye protection signs are a legal requirement among employers that can help manage the risk of face and eye injuries and permanent vision loss if workers are at risk. These safety signages aim to protect workers from dust, hazardous chemicals, excessively bright lights, compressed air, and machinery or tools, by providing them with the necessary personal protective equipment (PPE) such as eye goggles, face shields, or welding helmets with eye protection panels. 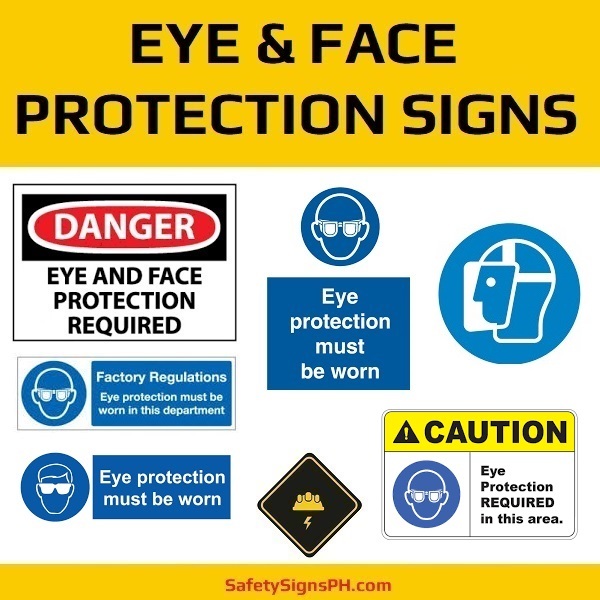 If any materials which can cause damage to the eyes or face are present in your working environment, then you should opt for our protection safety signs! 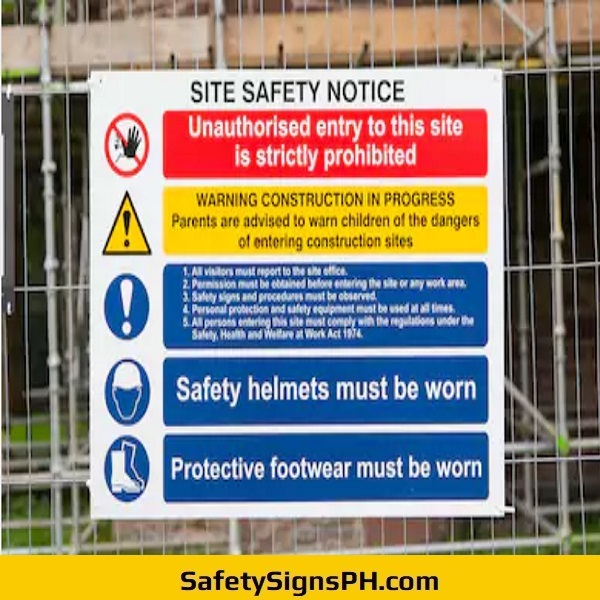 Available in bespoke designs and dimensions, our mandatory face and eye protection signs are ideal for businesses engage in construction, welding, manufacturing, and others. 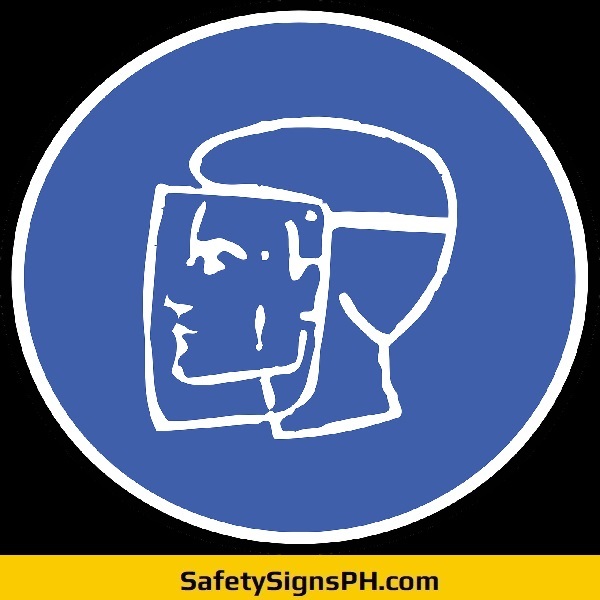 As a professional safety signage maker and supplier in the Philippines, we are one stop shop for a wide range of affordable PPE signages, so it should be easy for you to order a specific sign that is tailor-made to your unique safety needs. Our company can supply a bespoke signage for just about any site you'd require in your workplace. Whether it’s a reflective safety sign telling workers that “Eye Protection Must Be Worn” or an indoor “Wear Googles” symbol sign, here you’ll absolutely find something what you require! For any inquiries on our eye and face protection signs, feel free to leave a message today! Our company is always ready to assist you and answer all of your questions about our products and services. We can accommodate orders anywhere in the Philippines, specifically in the following locations: Metro Manila, Cavite, Laguna, Rizal, and Batangas. We send free no-obligation quotation upon request.